Competencies are also called: behaviors, skills, values, performance dimensions or performance standards. Where goals or objectives describe “what” you want an employee to accomplish, competencies describe “how” you want them accomplished. As such, cultivating and managing competencies is an important way to foster employee and organizational high performance. Competencies are also a key way to define and strengthen the organizational culture and to strengthen the competitive differentiators. Organizations that start with competence management often want to improve the focus of their investment in the future of the organization and in the development of its employees. Competence management seeks to find a balance between the development of people and their competences and the management of these competences in light of the organization’s objectives. SoftExpert Competence is the definitive solution for the effective management of competencies at a company. Guarantees the periodic assessments planning of the competencies mapped, thereby optimizing the learning demands and creation of knowledge within the organization. SoftExpert Competence ensures the continuous improvement of employees, with increased productivity and the continuous generation of new ideas, improving levels of competitiveness and profitability within the corporate context. Competency Library that provides an easy-to-use, customizable set of competencies for assessing and developing leadership talent in an organization. Proficiency Scale to measure one’s ability to demonstrate a competency on the job. Professional profile description with the identification of the respective responsibilities, authorities and required competencies. Organizational competence mapping and competence mapping per process. Gap analysis to determine those areas that have learning and development opportunities in place and where competencies need to be developed. 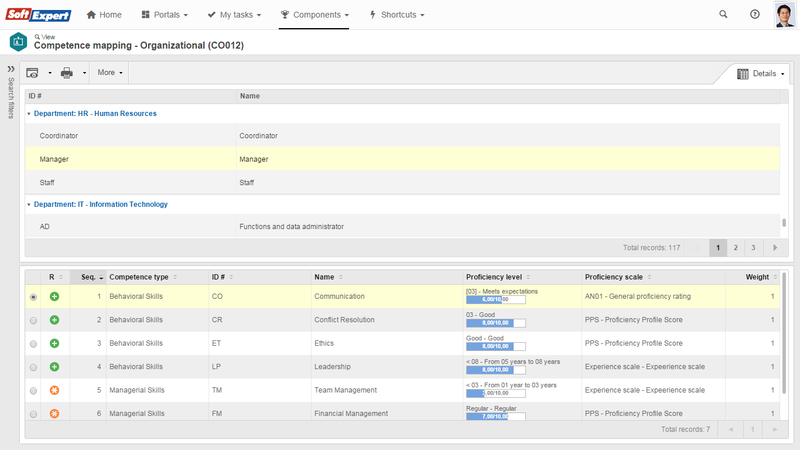 Employee competence assessment through forms with personalized assessment items for each competence. Competency assessment that provide a framework for all job at all levels within a corporate environment. 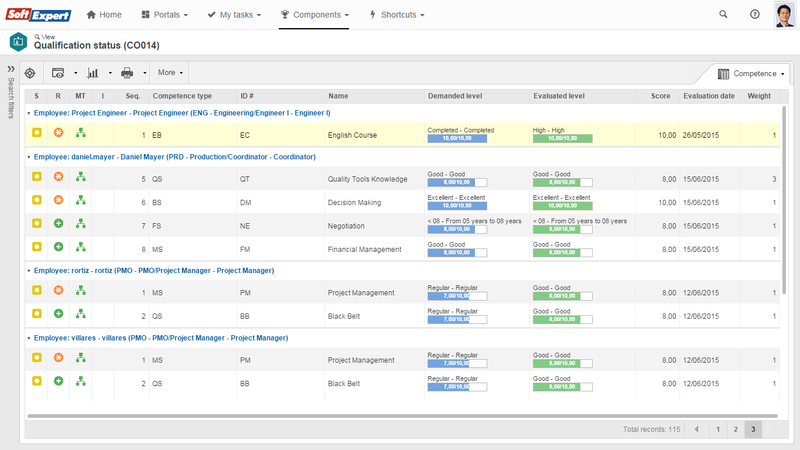 Configurable calendars to perform competency assessment planning – weekly, monthly, annually, etc. – with the automatic display of mapped competencies. Employee Profile enables employees to highlight the value and qualifications they bring to the organization while giving complete visibility into critical and often unknown data about the employees. 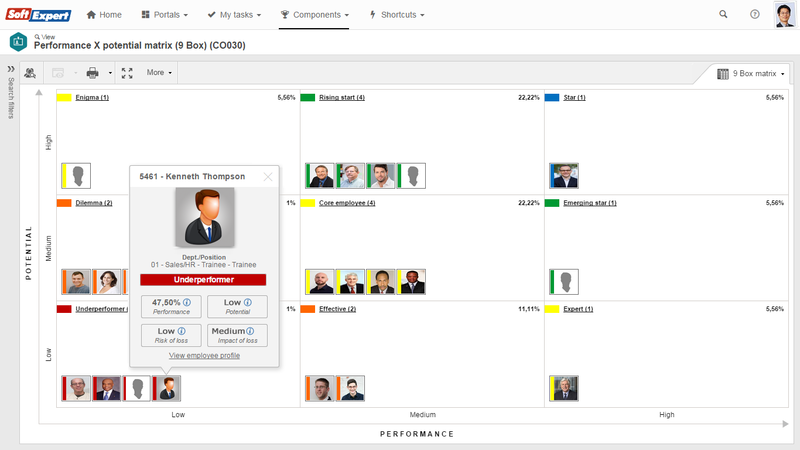 Employee profile visualization with organization charting, 9-box grid and others. Complete training and certification history for each employee, informing when each earned his or her degree, the level of study, certificates received and the dates set for recycling training. 360 Degrees feedback provides a more holistic performance feedback on employees and the leadership team from peers, direct reports, customers and partners. Development plans improves employee engagement and give a company a competitive advantage fostering employee advancement in pursuing career goals. Talent pool manages the hiring and promoting process and gives the ablest and most enthusiastic workers opportunities to learn and grow. 3 key practices to improve talent management and take your workforce to the next level. 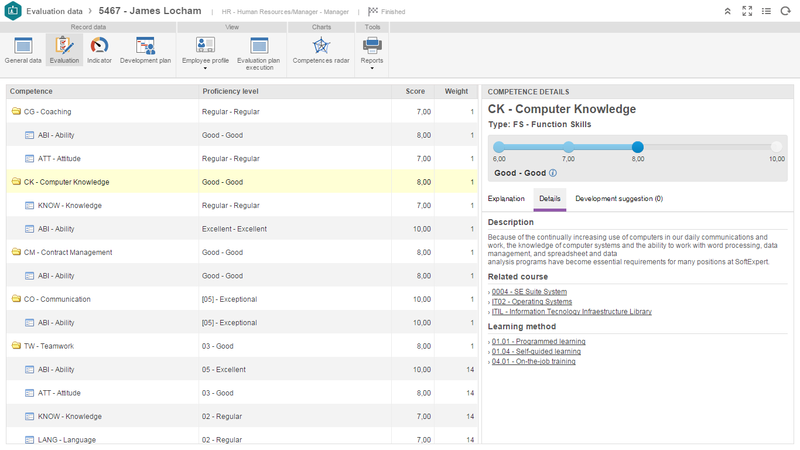 In-depth knowledge on 9 Box tool and some of the benefits gained from its application. A step-by-step approach to conducting an effective Training Needs Analysis (TNA).